1 . Boil together milk, broth, and salt. Reduce heat, add polenta and whisk. 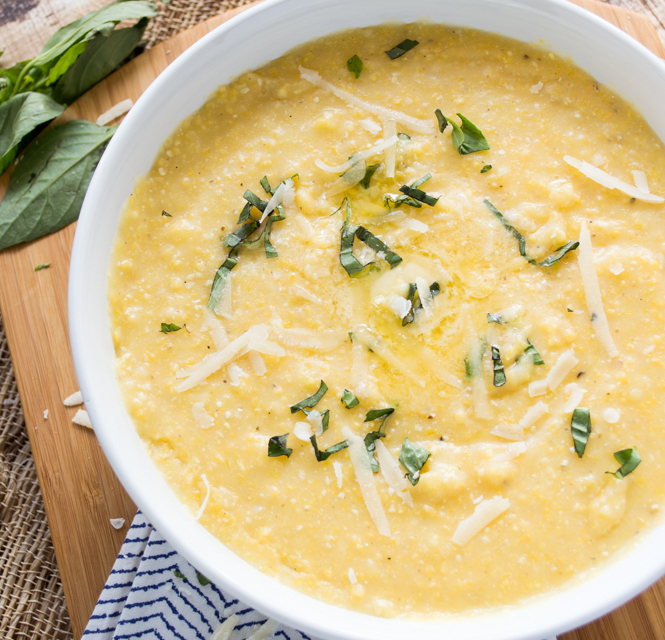 Cook the polenta for 5-7 minutes, stir regularly until thick. 2 . Cook covered for 20 more minutes and keep stirring every 10 minutes. 3 . Turn off heat, add cheese and basil. Mix together until cheese melts. Season with salt and pepper if needed.